It’s that time of the year where we begin reflecting on all that we are Thankful for. We here at Legacy Academy are so Thankful for a great community of students, parents, teachers, staff and administration who are all focused on what’s best for children. Thank you so much for trusting your young people to our care. It is a privilege and honor to be a part of shaping the future of our nation with children of great character and academic strength. As we head into the holidays, it is hard to believe how quickly time has flown by! We want to make it a healthy winter for our students, so remember, if your student has had a temperature, has thrown up, or been on antibiotics for less than twenty-four hours, please keep them home. We are having a food drive for the Elbert Task Force beginning November 7th and ending November 18th. We are so excited to see our students open up their hearts to help others less fortunate by encouraging them to bring in canned food items, cereal, and toiletries. The character attribute for November is honesty. We have a new uniform provider for our families: Educational Outfitters http://denver.educationaloutfitters.com/find-my-school/legacy-academy/. Middle School and fifth-grade students will soon be able to wear jeans every Friday as long as they wear a logo shirt from a Legacy Academy sponsored club, sports team or if they purchase a Legacy Academy polo with an embroidered Legacy Academy logo. These can be purchased through Educational Outfitters or your student may get an order form at the office. Jeans may be worn with one of these shirts every Friday throughout the school year, but the shirts MUST be acquired through the Legacy Academy office (from Educational Outfitters). Donation of Lost and Found will be December 16, 2016. Any lost and found items that have not been claimed before the end of the day on 12/16/16 will be donated to a charitable organization. Please mark your student’s name on their belongings! Fifth through Eighth grade Wednesday, November 30, 2016, 6:00pm to 7:00pm. Kindergarten through Fourth grade Thursday, December 1, 2016, 6:00pm to 7:00pm. 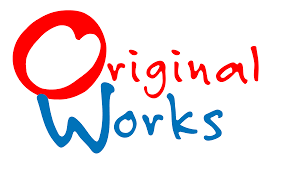 If you are a working family who has difficulty getting your volunteer hours taken care of during the school year, we are looking for a team of people who would be responsible for keeping our property mowed and trimmed throughout the summer. We could really use some people with a tractor and brush hog (field mower). Please e-mail Ms. Anne if you would like to be a part of the team anne.stanley@legacyk8.org. Electricians – We are in need of electrical work. If you are willing to donate your time as an electrician for volunteer hours, please call Anne (303) 646-2636. Roofers & Construction help –We are looking for help with a roofing project as well as a construction project. The modular classroom (music room & teacher library) needs a new roof, skirting, and wheelchair ramp repair. If you could assist on a team with this type of project, please call Ms. Anne (303)646-2636. Colorado Sport’s Team Dress of Choice/No Fee. Students can wear their favorite Colorado Sport’s Team Clothing with Jeans. Tuesday, November 8 ~ Election Day! Vote! Friday, November 11 ~ Veterans Day! Thank you for your service! We so appreciate you! All School Dress of Choice! Middle School Honor Roll Dessert Bar (for the first quarter of this year) in the cafeteria 2:30pm-3:00pm. Monday, November 21 – Friday, November 25 ~ Thanksgiving Break! Wednesday, November 30 ~ Fifth through Eighth grade Christmas Concert in the gymnasium 6:00pm. Students must arrive at 5:40pm wearing church/Christmas clothing and meet in their homerooms. Thursday, December 1 ~ Kindergarten through Fourth grade Christmas Concert in the gymnasium 6:00pm. Students must arrive at 5:40pm wearing church/Christmas clothing and meet in their homerooms. Friday, November 4 ~ Colorado Sport Team Dress of Choice/No Fee. Students can wear their favorite Colorado Team Sports Clothing with Jeans. 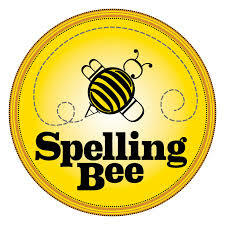 There is a parent/student Spelling Bee info meeting on Tuesday, October 25, in the library 3:30pm – 4:00pm. Spelling Bee practice for students 4th through 8th grade begins Tuesday, November 1, 3:30pm – 4:00pm in the Library and will be held every Tuesday until the Spelling Bee which is scheduled for Thursday, December 8, 2016, in the cafeteria. The power of just one meal. As we begin the holidays, take a moment and help us support our teachers. By using your Safeway or King Soopers reloadable grocery card from the Elizabeth Education Foundation this holiday season, you help us provide items in our classrooms. Thanksgiving dinner alone could help 5-10 more classrooms, giving more opportunities for our students. Need a card? All cards are pre-loaded with $10 and cost $10. Please see the order form enclosed. Ready for Black Friday? If you’re shopping on Amazon, why not try Amazon Smile. Same great selection and prices, however, Amazon Smile, Amazon’s community giving program, donates a portion of your purchase to the charity of your choice. By selecting the Elizabeth Education Foundation, you once again support our classrooms. Please see the link on our website, www.elizabethef.org orsmile@amazon.com. Second Grade Field Trip to Four Mile Historic Site 9:00am to 2:00pm. Your student’s artwork has been sent home. If you did not receive a price list, we have attached one for you to refer to when you are ready to place your order. Also, remember to return the artwork with the order. CONTACT INFORMATION: For further information please contact: Elizabeth Baird 303-646-2636 or elizabeth.baird@legacyk8.org. Attention: ALL Legacy Academy ‘DADS’! (and father figures, granddads, uncles, and step-dads!). On Wednesday, October 26th at 6:30pm there will be a ‘Dads and Kids’ Pizza Night Event! Come learn about our WATCH D.O.G.S. ® (Dads Of Great Students) Program! A flyer will be sent home in Monday folders, but a copy has been attached at the bottom of this paragraph. Please fill out the bottom of the form to RSVP by Monday, October 24th. If you have questions, please email kristalcwatson@gmail.com. School picture retakes and fall team sports picture day is scheduled for October 21st. This is a dress of choice day for everyone. Picture packets were sent home on Wednesday, October 13th. Please check with your child if you have not received them. If you have any questions or concerns, please contact Studio 5 School Portraits, Inc at (303) 550-4456 and they would be happy to help you. Boys and Girls Basketball Try-Outs!! !